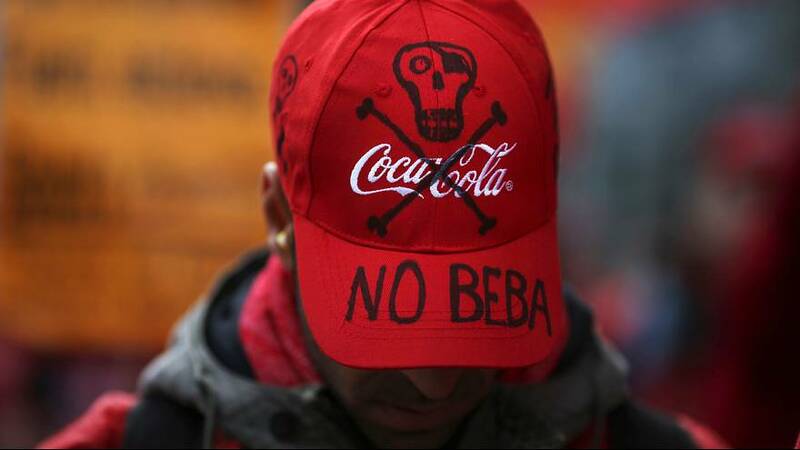 Sales of Coca-Cola in Spain are reported to have slumped by half, in the wake of a call for a boycott of the product over an attempt by the company’s Spanish bottler to lay off workers. According to the newspaper El Economista, the sharp fall over a one-year period represents the largest decline ever recorded by the soft drinks giant. It is the second piece of bad news in a week for Coca-Cola Iberian Partners, which resulted from a merger of several bottlers in 2013. Last Friday, June 13, it was ordered by a court to reinstate more than 800 workers as its controversial redundancy plan backfired. In January, the company’s Spanish subsidiary confirmed plans for a massive cost-cutting operation involving the closure of four of its 11 factories in Spain and the layoff of 1,190 employees, almost a third of the total workforce. The news gained widespread attention, coming as it did from a profit-making firm in a country where more than one in four of the workforce is unemployed. Street protests followed, as did a campaign for consumers to shun Coke products. “If Madrid no longer produces Coca-Cola, Madrid will no longer drink it,” went the slogan as the call went out via Twitter for a boycott. The Spanish capital’s Fuenlabrada plant was one of the four in the country earmarked for closure. According to El Economista, in central Spain – the region which includes Madrid – sales diminished by 48.6 percent in the one-year period from 28 February 2013 to 28 February 2014. The company has tried to minimise the effect of the boycott campaign, arguing that in February itself this year sales only fell by 2.3 percent. According to unions, the biggest drop occurred in the second half of January, when the redundancy plan was announced. The bottler claimed that its re-organisation was necessary because some plants were only operating at half their capacity, due to over-expansion and weak demand in Spain’s struggling economy. However its plans came unstuck last week in the National Court, following a legal case brought by the unions. Its ruling said that Coca-Cola Iberian Partners had failed to present the union negotiating committee with a detailed account of its re-organisation. In a statement it said the court had declared void the plan to make 1,190 workers redundant, of whom 821 had actually been laid off, and to close the plant at Fuenlabrada (Madrid), as well as in Majorca, Alicante and Asturias. The company was ordered to reinstate hundreds of workers on back pay. At its headquarters in Atlanta, Coca-Cola said it was disappointed with the ruling, adding that its bottling partner intended to appeal. The UGT union welcomed the court order, saying Coca-Cola IP was a company that was “more than solvent”, which made the redundancy plan unjustified. It called on the firm to respect the ruling and open negotiations with the unions.